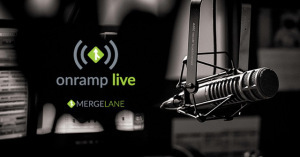 MergeLane is launching Onramp Live to share fantastic insight from startup mentors, angel investors, VCs and exceptional leaders. We’re kicking this off with an interactive online discussion with the founders of Dating Ring (as featured on Gimlet’s StartUp Podcast, Y Combinator Grad), Kindara (SOS Ventures-backed HAX Accelerator grad), and Havenly(MergeLane ’15 grad). As graduates from some of the world’s leading accelerators, they’ll share the good, the great and the not so great results of their accelerator experience. We’ll share relevant content for anyone considering any accelerator, and there will be plenty of time for Q & A. These events have limited capacity and we’ve sold out nearly every event we’ve hosted. And if you have interest in applying to MergeLane, our applications open on September 1st and you can sign up for a QuickPitch or MergeLane Information Session now. We’ll be accepting applicants on a rolling basis, so the sooner the better.